“This is not a medical or surgical procedure,” said Kitagawa, acupuncture therapist and owner of Yojo spa. Japan is the world’s number two market for beauty products and services, with sales estimated at over $15 billion last year alone. 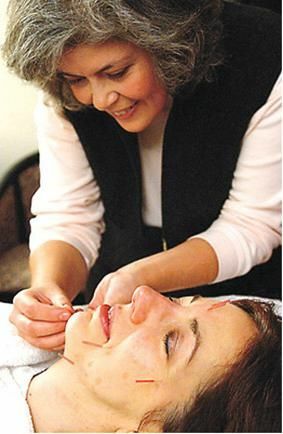 Acupuncturist licensing began during Japan’s Meiji Era, about 130 years ago, and Kitagawa says his clients, mainly in their 30s, are increasingly pinning their hopes on the treatment, seeing cosmetics or facelifts as pricey and not as healthy. “It’s different from plastic surgery, it doesn’t have the risk of failure. Besides, it uses the innate power of human body to create beauty, and that’s the reason I like it,” said Rie Hayashida. Japan has an estimated 40,000 registered acupuncturists and over 150 schools, mainly focused on traditional uses. This entry was posted in Traditional Chinese Medicine and tagged I Ching, Japan.